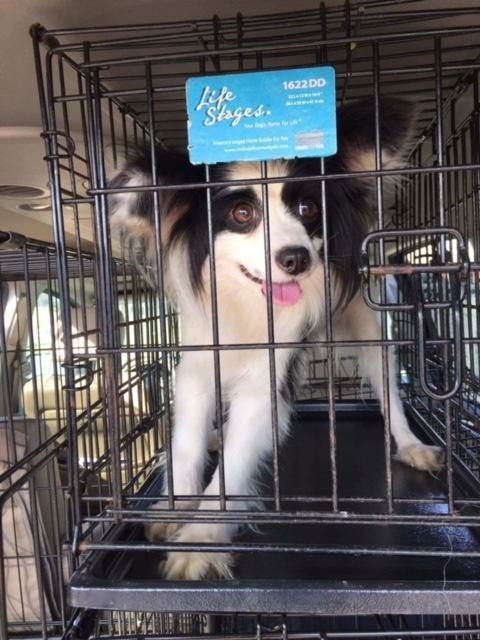 Jolie was rescued from the shelter in pretty rough shape. 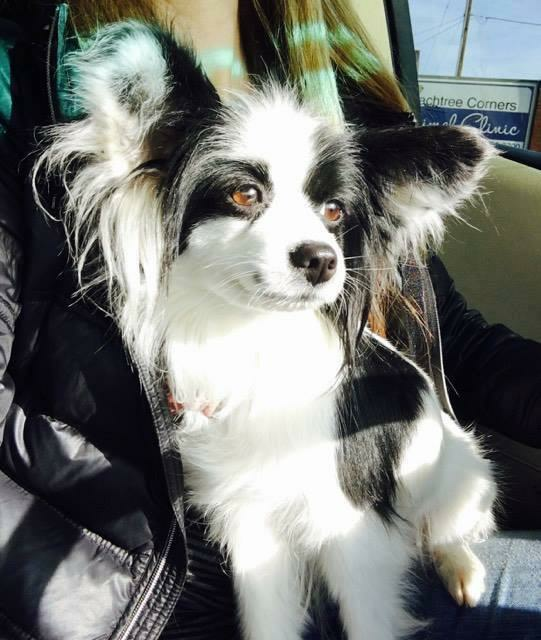 She is a 2 year old Papillon, and before joining the Releash Atlanta family, she had lived her entire life outside on a chain. Unfortunately, at some point in Jolie's life she was kicked or harmed, causing damage to her spine. Because of this, occasionally her back legs spin out beneath her and she slides around. But this little girl does not let it get her down! She gets right back up and keeps on trucking. There is nothing that can be done to correct it, surgery wise, but the doctors are hopeful that through gaining some weight and continuing to play she should become stronger and in turn have more stability with her legs. Sweet Jolie is loving her foster digs! She gets along great with young kids, LOVES to snuggle in her foster mom's lap at any chance she gets, and romps around in the back yard with the best of them. Although she lives in a household with cats, she would most likely do best in a cat free household, or a home with "low energy" cats, as she can be selective on which feline friends she makes. 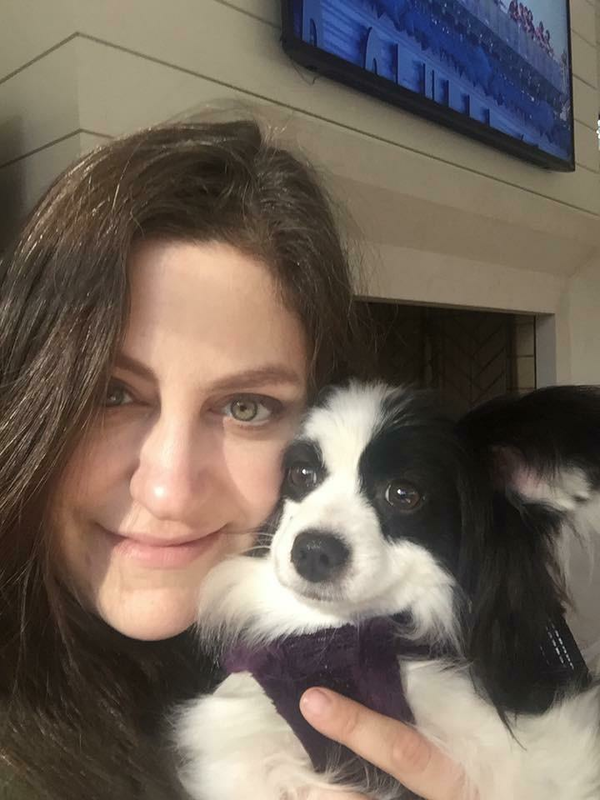 Jolie is almost fully house trained, and does great with more frequent visits to potty since she is such a little squirt with a small bladder. This little lady is as sweet as she is cute, and we just know that the perfect family for her is out there! Could it be you? Apply for Jolie today!